It's Disney Live! presents Mickey's Magic Show! 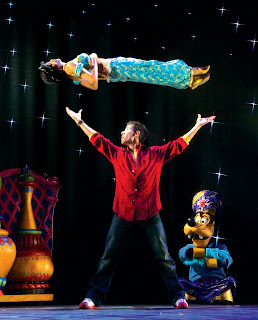 Mickey, Minnie and a host of Disney friends come together with world-class magicians to perform magic from legendary Disney films right before your eyes!! See the Fairy Godmother transform Cinderella's rags into a beautiful ball gown in a split second; the spectacular levitation of Aladdin's Princess Jasmine; and the enchanted dancing brooms of Fantasia. 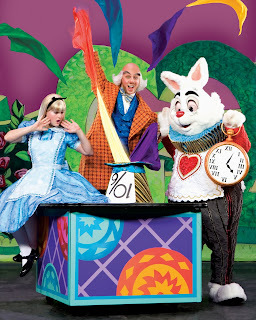 Join Donald and Goofy, Alice and the Mad Hatter, and many more for a one-of-a-kind stage show you'll never forget!! 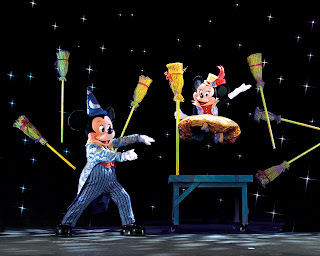 Mickey's Magic Show is a whole new way to experience Disney Magic with your family! At the MN Xcel Energy Center! This event is coming up quickly....and I am hosting a giveaway for a Family 4-pack of tickets! To enter this contest: Just leave a comment with your favorite Disney Character! 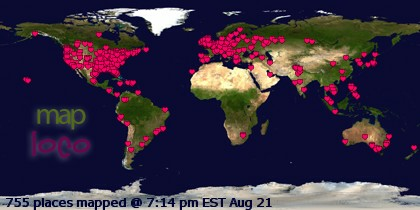 You can comment everyday, until October 15th, 2010. You can also sign up on my facebook Sassyfrazz page!! Plus, you can follow me on twitter, and/or subscribe to my blog for extra entries, just leave comments about what you did. :) good luck!! do you have any in Illinois? We love us some Mickey Mouse right now! The kids are stuck on the Mickey Mouse club house show. Sam and Trin would love to go to see this show! O would love to take my grandson to this. I love Mickey Mouse he is so cute and probably the only Mouse in the world that I like. I just would love to take Scott to see all the fun. My Kiddos love "Mik-a Mouse". This looks like it would be a ton of fun.